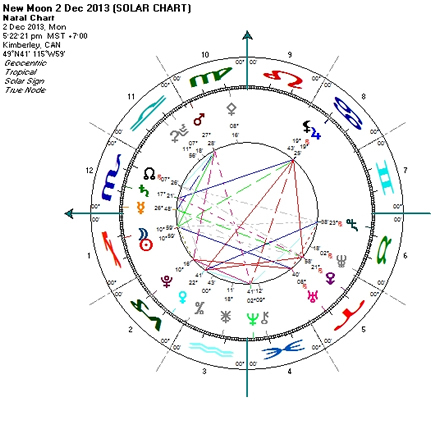 New Moon of December 2, is 2013's last meeting of Sun and Moon. The coming four weeks could be the concluding crescendo, building the base for a new start. Anticipating the Sun's rebirth, we also might want to use this contemplative and at the same time driven phase to pass review; taking inventory, forgive ourselves and those around us and find peace with what happened during the last twelve moons. The year number of 2013 implies that a 13-year cycle is coming to an end. In the Tarot, #13 is the Death card. Number thirteen also belongs to the Fibonacci sequence, which is an infinite numerical sequence edging closer and closer towards the 'Golden means'. This highly venerated proportion is the structural fractal of living organisms. The common denominator of all life forms is encapsulated in the word 'dynamic'. Living beings are in constant motion, able to adjust to changing circumstances; while at the same time expressing harmonious and eye-pleasing physical forms. Thus, thirteen could be called the number of 'dynamic' change. The clock, and its heavenly counterpart, the zodiac, are 12-segmented 'static' cycles. They are blueprints, illustrating the prevalent crystallization of atoms and molecules. We find hexagonal structures all through the animate and inanimate world. 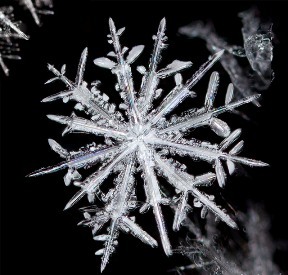 Snowflakes, quartz crystals or amino acids may be prominent examples of 12-segmented structures. Not any different from regular clocks, the zodiac offers itself as a cosmic frame to host the 'movers', the hands or planets. The moving hands dance within the static frame of the twelve hours, expressing the dynamic tune of evolution. The small hour-hand represents the Sun; while the fast minute-hand plays the role of the Moon. They meet every 65 minutes: at high noon, at five past one, at ten past two, etc. ; united, conjunct, on top of each other. While hands meet every thirteen times five minutes, Sun and Moon meet every full circle plus one sign, the additional sign being the arc the Sun moved forward while the Moon completed one full circle. Dynamic cycles are alive. They manifest the interactive play of opposing forces, of Yin and Yang dancing around one another, continuously renewing creation. One may think that planets are too far away to have any measurable influence on reality. Not so however with the Moon, whose direct interaction with physical levels is a given. So, what's the answer to the famous question 'does astrology work'? It all depends on where to draw the line. Chaos theory coined the expression 'butterfly effect', meaning that one wing beat of a butterfly in Brazil may decide on whether in New York the sun will shine or not. The December 2, New Moon chart suggests that some relief is on its way, that longstanding problems may start finding resolution. Nothing should be pushed however. Even actions that are coming out of best intentions might fail if one doesn't employ the necessary patience and intelligence. When dealing with a dangerous situation it is important not to be rigid or violent. Furthermore one shouldn't rely on strength, challenging a threat with a daring attitude. Gentleness and calm allow us to draw from the source of inner wisdom. Wise decisions are based on keen observation. Finding the right words is always a big challenge when we'd like to share an experience or pass on some insight. The key is to listen well, to attune our language to the person we're talking to. We can only hope to be understood when we let the other person in first, absorbing her way of thinking. It helps to remember that words are symbols, they aren't the real thing. It is astounding how many different meanings one single sound or word can have. On December 7, planet Mars enters the sign Libra, initiating a critical passage of change and transition lasting into July 2014. Mars represents man's will to power, our urge to compete and succeed. In these coming eight months the universe wants us to watch ourselves in our thrust, to become more observant and reflective of how we're pushing for our ideas to work out and materialize. While Mars is passing through the Scales of Justice, the keyword is negotiation. Working together as a team can do miracles. It's always good to remember that there are alternatives, that sometimes your friend's or co-worker's input is superior. Realizing that we don't have to impose that much can be very relaxing. At first, working as a team may be more challenging, finding a consensus is not always easy. The rewards however will soon become obvious. Effects of our actions will multiply, their impact deepen. And maybe the greatest gift of all will be that we learn to value each other in entirely new ways, strengthening our bonds and deepening friendships. At 5:22 p.m., Sun and Moon meet in Sagittarius, setting the tone for the remainder of this year. Take the chance to re-formulate your intentions, nurture your visions. The Resonant Skywalker gives strong intuition, making it easy to connect to our core self. Resonance is happening at all times, it's one of the most basic natural laws; we oscillate with everything around us. When we experience an inner surge, waves of our emotions propagate, stimulating the world around us, amplifying our song. Listening to the echo is a great way to know oneself. For the entire day, 'til 11:49 p.m., the Moon keeps moving through Sagittarius, soaking us in a cloud of New Moon energy - whirling our spirits up into the universe of dreams, thoughts and ideas. The Archer/Centaur owns the powerful lower body of a horse, while his upper body is human. Sagittarius represents the bridge from inner animal self to our highest ideals. Sagittarius extends to extremes and beyond, links our sacred animal totem with our ultimate potentials. There's strong dynamic in such an extreme stretch, transformation is a given. We wake up to a well grounded and practical Capricorn Moon. Still elated by the New Moon's singularity we shouldn't miss on the great opportunities this day sparkles with. The Blue Solar Eagle soars high up in the sky. Famous for its exquisite eyesight, the eagle sees the full panorama, while at the same time able to hone in on its prey and fearlessly go for it. Everything seems to move fast today, innovation and inventiveness are prominent, showing up everywhere. Accept the invitation and make good use of this cosmic gift. The Red Planetary Warrior shows a strong individualist with the courage to face adversities and opposition. Humor is a wonderful medicine, breaking the ice of separateness. The Aquarius Moon makes it somewhat easier to detach from strong urges and emotions. The two parallel waves depicted in the Water Bearer's glyph may remind us of synchronicity, that we move in unison with the universe, whether we're aware of it or not. This Aquarius Moon gives the necessary inner distance to face problems head-on. Solutions arise from a holistic and interactive perspective. Red Spectral Earth promises the unexpected, a crack might open up in the fabric of existence, the emergence of something exotic might require reassessment. Starting 5 a.m., the Moon will be void-of-course for the entire day. The right side of our brain is dominant, opening doors for the unexpected. Mars enters the sign of Libra. At first this could be somewhat confusing, as we might have to allow for a wider spectrum, asked to gaze beyond our own personal needs and values. The White Crystal Mirror indicates the potential of coming to a place of clarity. There might be an utter exposure of something or other. Overall not the easiest day, some of our concepts might get battered. An imaginative Pisces Moon welcomes us this morning, making it easy to celebrate nature's grace and beauty. If the weather allows we might want to enjoy the great outdoors, and/or play with your kids and pets. Lunar energy resonates our primordial self, the child within us comes to the forefront. Through the Moon's frequency we're at all times linked in to life's loop, intuitively in touch with both, the inanimate and animate worlds. 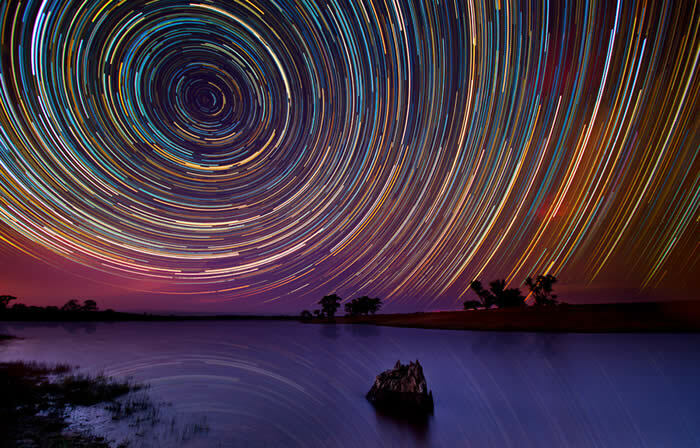 Blue Cosmic Storm belongs to the West, where Yin and Yang intersect.